A well-feathered bird is better able to regulate its body temperature and the feathers serve as direct protection of the skin. In general, a bird’s feather condition will deteriorate as the bird ages. As good feathering is important for welfare standards and for the economic performance of the bird, we have implemented feathering traits in the Hendrix Genetics Layer breeding program. Feather loss can be the result of various issues; however, the location of the feather loss on the bird can give an indication of potential cause. We regard feather cover as a social trait as there is a clear link between feather loss and social behavior. Not only in relation to injurious pecking, but also related to stress. Birds that are flighty/stressed have a higher tendency to jump on top of each other, damaging their feathers and those of their group mates. Injurious pecking is an umbrella term used by FeatherWel covering a group of behaviors; gentle feather pecking, severe feather pecking and cannibalistic pecking. Gentle feather pecking consists of gentle pecks to the tips of the feathers and does not result in much damage. However, it can be an indicator of a welfare problem in the birds performing the behavior and precede more damaging pecking. One way to detect feather pecking issues is to take note of the number of feathers on the ground. If you don’t see any feathers, this is a potential sign that the birds are pecking each other. The motivations and reasons for birds showing aggression towards each other are not the same as those underlying injurious pecking. For this reason, we score separately for feather loss on the head/neck region and for the back region. Loss of feathers on the back usually indicates injurious feather pecking, while aggressive pecking is generally directed towards the head and neck. The causes of feather pecking are multifactorial but can include breed, nutritional imbalance, housing issues, lack of full use of the housing system space, and rearing conditions. 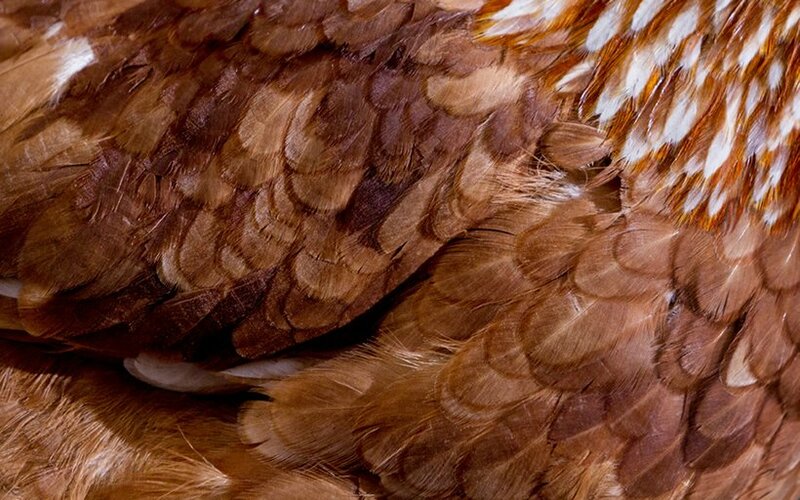 For all our field-tested birds, we score the feather plumage condition at two different points. The first moment of scoring is at the end of peak production, at 40 weeks of age, when the most effort is required from the bird. The second scoring time is at 70 weeks of age. 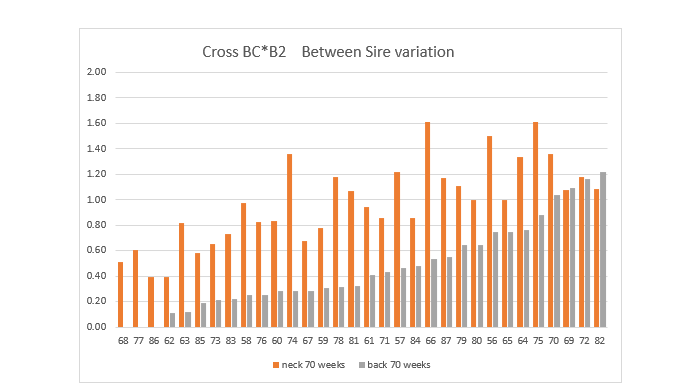 The goal of taking these feather scores is to see if variation exists between the different families tested, and to see if there are differences between the crosses, whether commercial or experimental crosses. As we test on average 350,000 birds per year, we use a relatively simple scoring method to make all the scoring feasible. 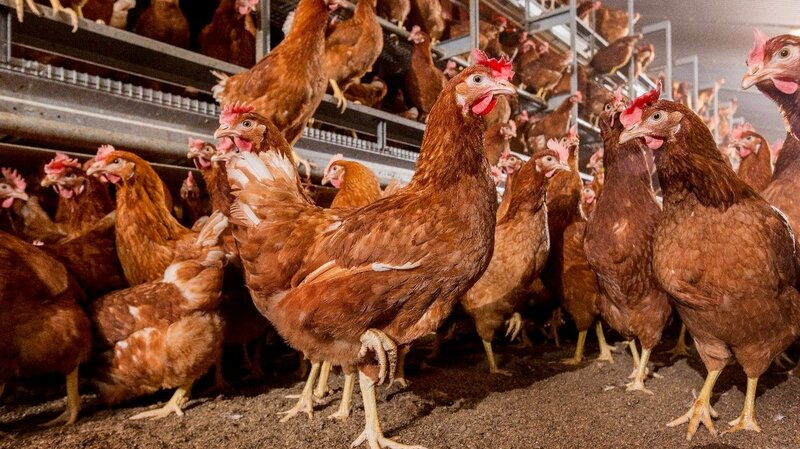 In order to comply with industry standards, we have adopted the AssureWel method, which is a worldwide recognized method to feather score the birds. 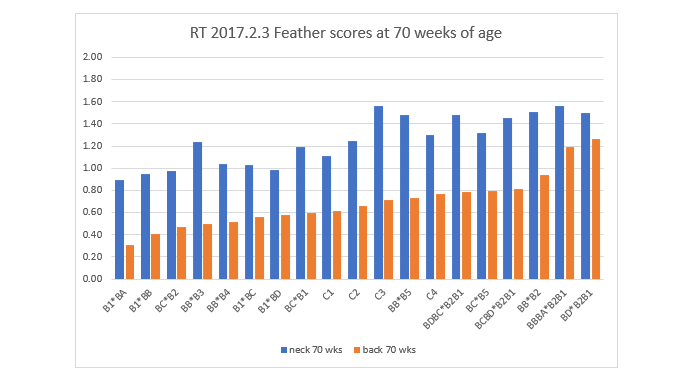 Of all the feather score data gathered so far, we have calculated the heritability for both the neck and the back areas. The calculated heritability differs per genetic line and per area and is in the range of 0.08 – 0.2. This heritability is lower when compared to egg production and egg quality traits, but it is in line with the heritability of our other social traits. This means that the genetic improvement in feather cover quality cannot be as fast as egg production traits, but we are able to gradually improve on these traits via selection. 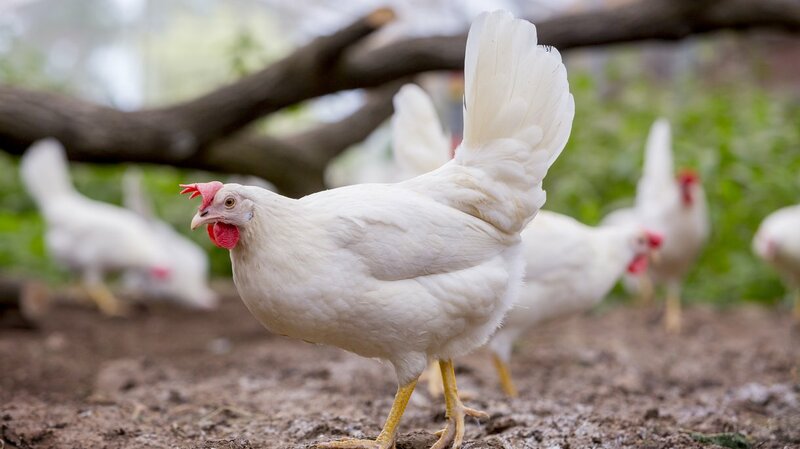 We have also partnered with Wageningen University to find the gene responsible for the direct genetic effects and indirect genetic effects of the social behaviors that contribute to feather pecking. Using breeds from Hendrix Genetics and studied in our own farms, single-nucleotide polymorphisms (SNPs) effects were estimated one by one, for both direct and indirect effects. A SNP located near a gene for a GABA receptor was associated with direct and indirect genetic effects on survival time. This is one of the first large studies investigating the genetic architecture of a socially-affected trait in layers. We will continue to investigate how genomics can contribute to solving this issue for improved welfare. By adding the different feather traits to our breeding programs, we are able to select robust, docile birds with better feather cover for a longer period. As animal health is one of our top priorities, the Hendrix Genetics Layer breeding program will continue to make selections for productive, healthy birds in an welfare-friendly environment.